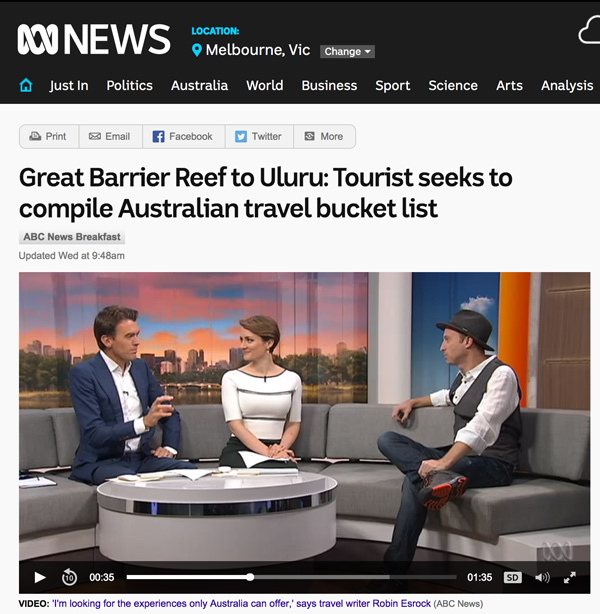 Before he set out to explore Australia, Robin appeared on ABC Morning News to chat with Michael Rowland and Julia Baird about his ambitious journey. Although he’s been described as many things, tourist is not usually one of them, but Robin did receive some great tips from viewers around the country. Click here to watch the full clip and read the story.